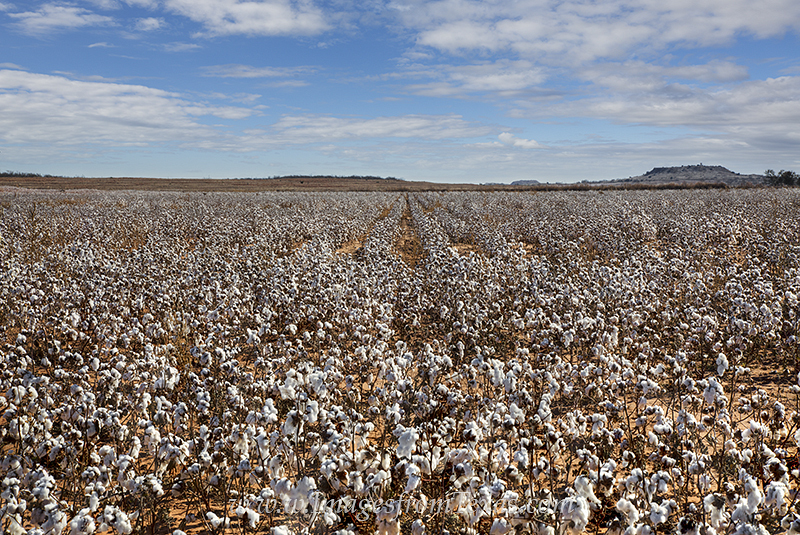 Along a dirt road in the Texas panhandle, a cotton field is ready for harvest. Blue skies and cold weather are here, and in a field adjacent to this, the work had started. Thanks to the local farmer who allowed me on his land to photograph this authentic Texas landscape. Photo © copyright by Rob Greebon.